Winter Service Changes began today, December 19, 2016. Now that post-secondary schools are out for the holidays, some bus route schedules and frequencies will change to reflect the lower ridership. School and university trips will return to normal during the first week of January. Service is adjusted to provide more consistent frequency during weekday morning peak service. Service is reduced to every 15 minutes during weekday peak periods. Service is reduced to every 15 minutes. Regular service is reduced to every 10 minutes; Peak service runs every 8 minutes. Service is reduced to every 12 minutes for mid day service only; Peak service runs every 10 minutes. Two AM peak trips have been removed. Service is reduced to every 20 minutes. Have questions about your route? Tweet us @TransLink or call 604.953.3333. You can find all the Winter Service Changes at translink.ca/servicechanges. As we mentioned yesterday, the Buzzer blog will be featuring the top 10 affected areas for this year’s Winter Service Changes and integration for the Evergreen Extension. Today, we’re focusing on three routes; one is out, one is new and one has changed. This brand new B-Line provides a more reliable and direct service with limited stop along Hastings. The new B-Line will stop at: Burrard Station, Granville Street (Waterfront Station), Cambie Street/Abbott Street, Main Street, Commercial Drive, Nanaimo Street, Renfrew Street, Kootenay Loop, Gilmore Avenue, Willingdon Avenue, Hythe Avenue, Holdom Avenue, Kensington Avenue, Duthie Avenue and SFU Transportation Centre. 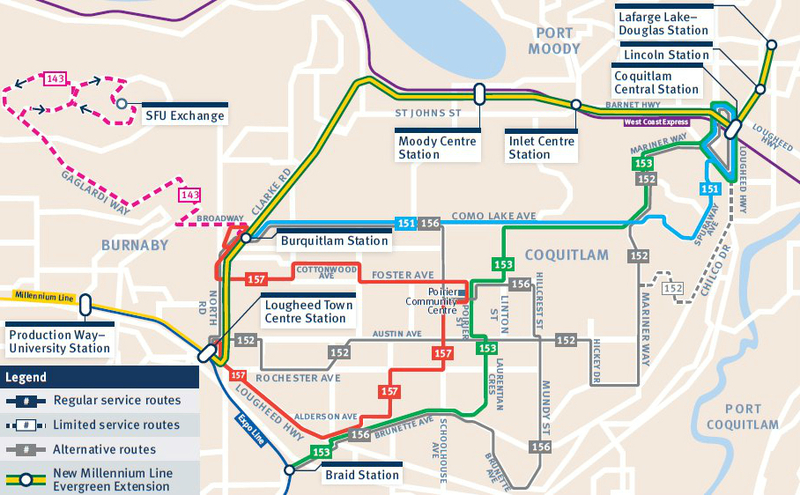 The 160 will provide local service in Burnaby and end at Kootenay Loop. This route change was made in order to provide better reliability and overall service. Riders can continue to take the 160 from the Tri-Cities and transfer to the 95 B-Line along Hastings, beginning at Duthie Ave. Heading downtown? The Evergreen Extension will now provide a faster and more frequent connected between the Northeast Sector and Downtown. 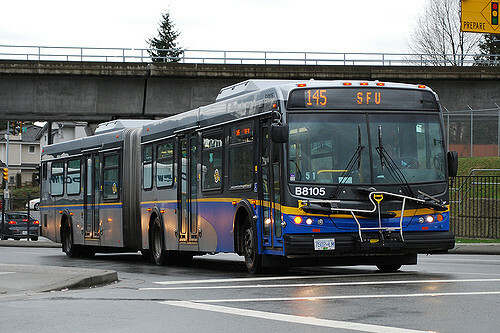 Starting December 19, the 135 is discontinued. Stay tuned for the next edition in our bus route where we look at some West End and Downtown routes. Need some more information on these routes? Check out our live stream with transit planner, Denis the Planner! Hello Buzzer readers! 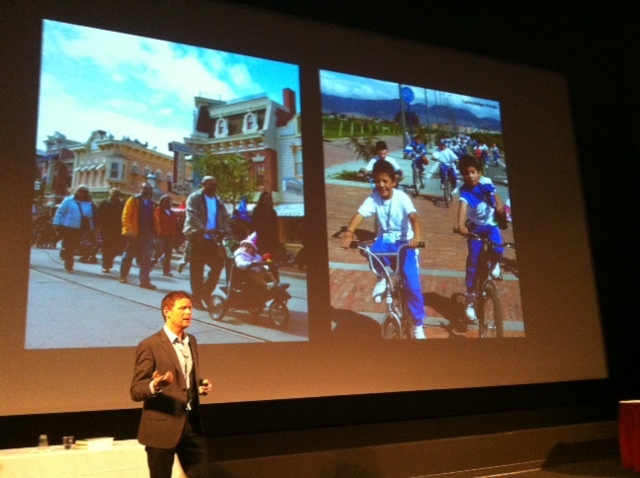 I hope you made it to the lecture Choosing Happy City by Charles Montgomery or watched it via webcast. It was the third lecture in the series “Rethinking Transportation: New Voices, New Ideas”. The lecture was streamed live and the video will be available shortly. Stephen Rees built a another interesting Storify post of the tweets posted during the lecture. Again, he kindly allowed us to post it here and give our readers a better idea of the what the conversation was about. Kudos to everyone who tweeted during the lecture! The next lecture is in May. More details to follow – stay tuned! The lecture Choosing the Happy City is tomorrow and I continue to interview interesting people in our region about what the ‘happy city’ means to them. 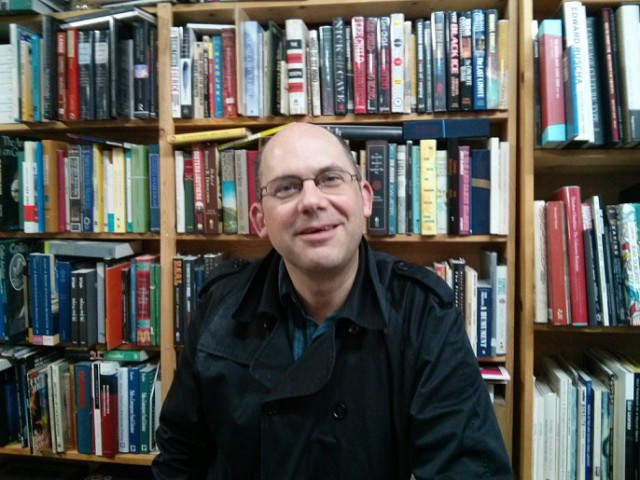 Today, I spoke with Chris Brayshaw, an independent bookseller. Chris started Pulpfiction Books on Main Street in Vancouver in 2000 and later added two more stores, one on Broadway Street and one on Commercial Drive. His stores offer a combination of used and new books to ensure there is something for everyone’s taste. What city in the Lower Mainland do you live in? What makes you happy about where you live? The number of smallish, owner-operated businesses around. The non-corporate quality of the streetscape, which is perfectly scaled to walking, and not to travel by car. How do you usually travel around your neighbourhood? What’s your favourite thing about how you get around your neighbourhood? Green parks seamlessly integrated into the grid of the neighborhood, perfect for cutting through. How do you usually travel around your city? By foot or trolleybus. Less often by Skytrain. I like transit lines with three to five minute service. I opened Pulpfiction Books, Vancouver’s largest independent new & used bookstore, in June 2000. It’s still the best poorly-paying job I’ve ever had. I hope you enjoyed this post. Don’t forget, there’s still time to enter the Happy City contest to win some great prizes. Apart from the Buzzer, this contest is run by the Vancity Buzz, The Thirties Grind and Surrey604. The lecture Choosing Happy City is sold out but you can watch it live via webcast; simply click on the webcast link here at 7 p.m. on March 26. As we’re getting closer to the lecture Choosing the Happy City on March 26 at SFU Woodwards, I had a pleasure to talk to Charles Montgomery, the author of the book Happy City and the speaker at the lecture. Charles is a passionate and engaging speaker, and here he explains why he dedicated five years of life to find out how cities can improve happiness of people who live in them. What inspired you to write the Happy City? It started with a bike ride through Bogota, Colombia, chasing the mayor who had used that unhappy city as a testing ground for his ideas on happiness. Enrique Peñalosa insisted that by transforming the form and systems of his impoverished and violent city, he had made citizens happier. So, the bike ride through Bogota led to you start your five-year long exploration of happiness and cities? That experience in Bogota posited a question; could a city really be redesigned to build happiness? It was a thrilling idea, but I was skeptical. So, I set out to test it against science and evidence from other cities. The quest led me to the doorsteps of neuroscientists, psychologists, behavioral economists and activists, as well as sites of remarkable urban transformation around the world. What connection between urban design and happiness did you find? To paraphrase Winston Churchill, we shape our cities, and then they shape us. Buildings, roads and other city systems alter how we move, where we pause, how much spare time and money we have, and how we interact with and regard other people. Good relationships, physical health, and social trust—all of these are key ingredients of happiness. By understanding these effects, we can reconfigure our cities and our lives to be healthier, happier and more resilient. How can transportation help build happy cities? We know that social relationships are the most powerful ingredient of happiness. So it’s crucial that we build systems that help us connect with other people in the city easily–and get us home in time for dinner with the people we love. Relying only on private cars won’t achieve that. What’s the place that make you happy and why? My happy place? Granville and Georgia at rush hour. The tide of people pouring out of the Canada Line station give the corner a thrilling sense of life and possibility. What can regular people do to build urban happiness? We need to understand the effect that city systems have on our emotions and behavior. We need to demand cities that reward us rather than punishing us for making healthy, more efficient choices. In Davis, California a couple convinced all their neighbors to tear down their backyard fences so they could all enjoy a giant shared garden—and ended up with a finely-tunable device for sociability. In Brooklyn, a man angered by honking horns outside his window went from throwing eggs at drivers to altering the way his city’s traffic lights worked. His work launched a movement that would lead to the renovation of the entire city, and pedestrianisation of Times Square. None of them were thinking about the science of happiness. But they proved that we all have the right and the power to fix our cities. What about the rest of us? What about the people who don’t have aspirations to change the system? You can boost your happiness just by changing your relationship with the urban system. For some people, this means changing where you live, or how you move. For others, the answer lies in understanding the city’s invisible emotional systems, and consciously altering your response to them. I hope Happy City will help. To hear more about the Happy City, come to the lecture on March 26. Admission is FREE but you have to register. RSVP here. Did you know that you can enter a Happy City contest to win some great prizes? Spoiler alert: all it takes is a selfie! Check it out here. Hello Buzzer readers! I hope you had a chance to attend the second lecture in the series “Rethinking Transportation: New Voices, New Ideas” that took place on Tuesday, February 26 at SFU Woodwards. 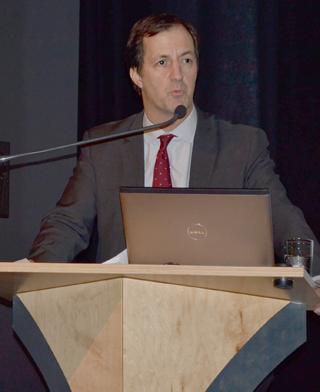 The lecture, Easing Congestion in Metro Vancouver: Prices without Subsidies, by Andrew Coyne, was streamed live and the video will be available shortly – I’ll keep you posted. The lecture generated a very interesting conversation about mobility pricing. Stephen Rees built a storify of the tweets posted during and about the lecture. He was very kind to let us post it here to give our readers a better idea of the what the conversation was about. Kudos to everyone who tweeted during the lecture! The next lecture is on March 26, 2014. Check here for more info.